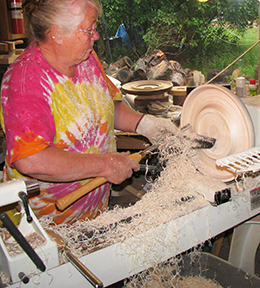 Freehand turned wooden originals, artistic and functional pieces using the lathe and hand tools out of fine northern hardwoods. Each piece is turned, then sanded to 400 grit, then finished with a natural foodsafe finish of beeswax and mineral oil that is satisfying to both the eyes and touch. Some of the pieces are highlighted with a simple wood burned pine bough that is done freehanded.